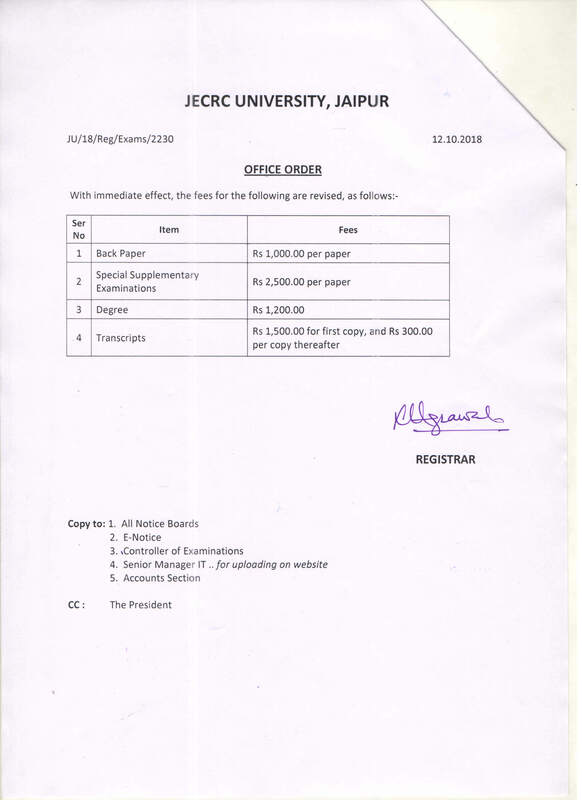 JECRC University, established and Incorporated as State Private University vide JECRC University Act (Act 15/2012 of Rajasthan State Legislature) and notification No. F.2(23) Vidhi/2/2012 gets approval from UGC. The University is approved by the UGC u/s 2(f) of the UGC Act 1956, with the right to confer degree u/s 22(1) of the UGC Act. 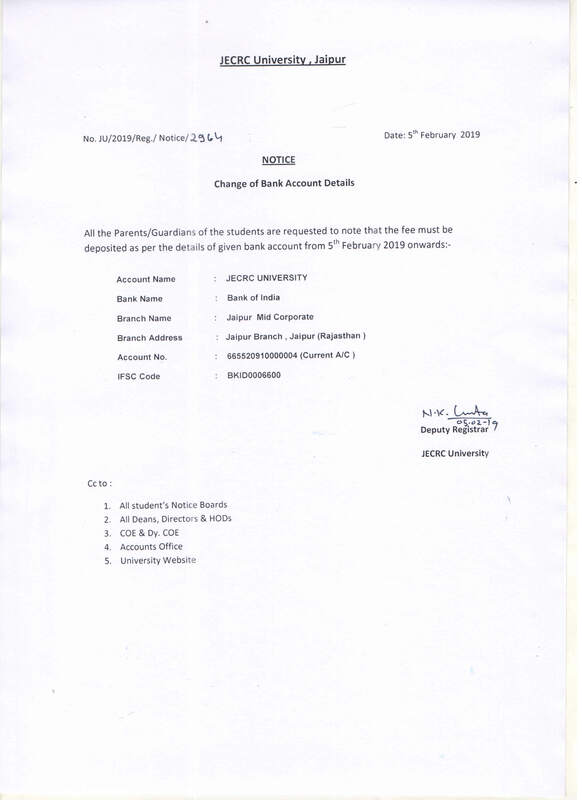 Included in the UGC list of approved Universities vide UGC letter No 8-23/2012(CPP-I/PU) dated 8th Jan 2013.